GEO IK-2 No. 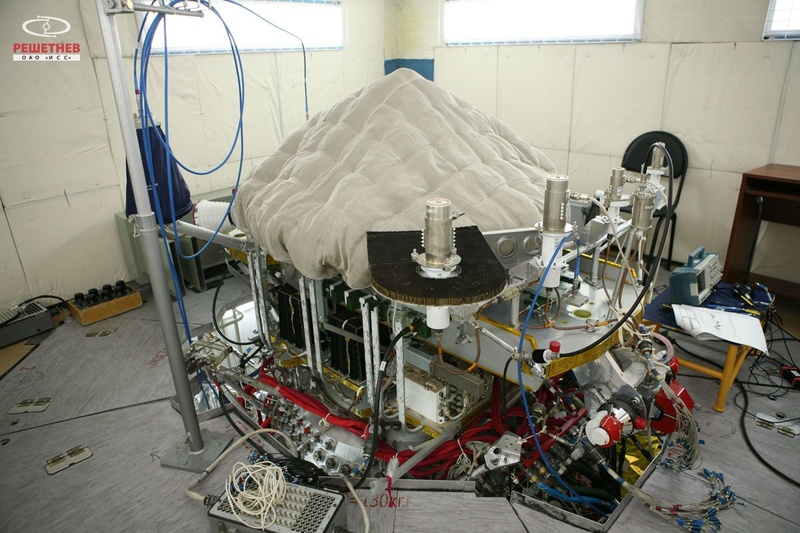 2 is a Russian geodesy mission to deliver precise three-dimensional maps of the Earth’s surface and gravitational data for use in scientific studies and military applications. 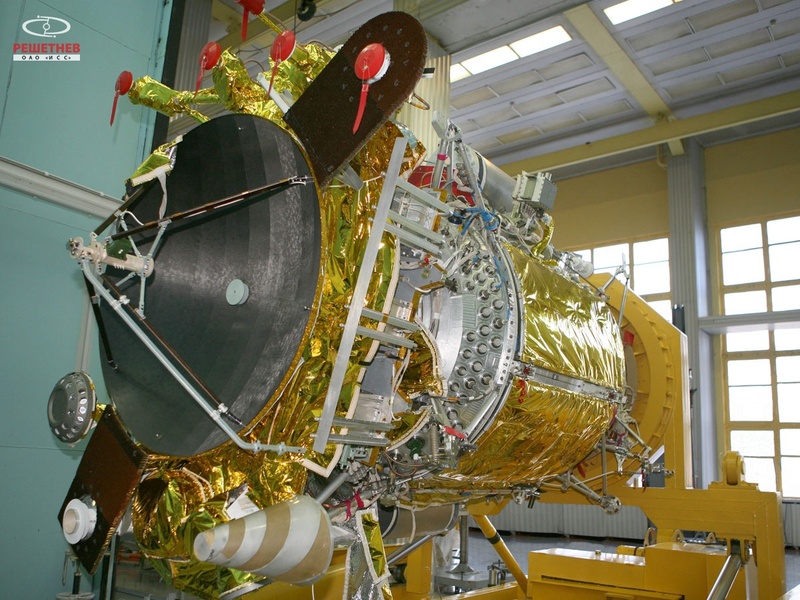 GEO IK-2 is Russia’s third generation geodetic satellite system and finds its origin in the early 1980s when the project was started, calling for a constellation of large satellites lifted into orbit by the Zenit launch vehicle. With development work underway throughout the 1980s, the first launch of the satellite system was expected around the mid 90s. The fall of the Soviet Union brought an untimely end to the project because the production of the Zenit rocket was in the now independent Ukraine. The GEO IK-2 project was revived in the mid-1990s when the spacecraft was re-designed to fit atop a Soyuz 2 rocket. Funding issues ultimately led to the cancelation of the program in 1997, though some developments made for GEO IK-2 fed into the construction of the Glonass-M navigation satellites. GEO IK-2 came back to life in the early 2000s when economical conditions had improved and the need for geodetic data was identified in the military and civilian sectors. 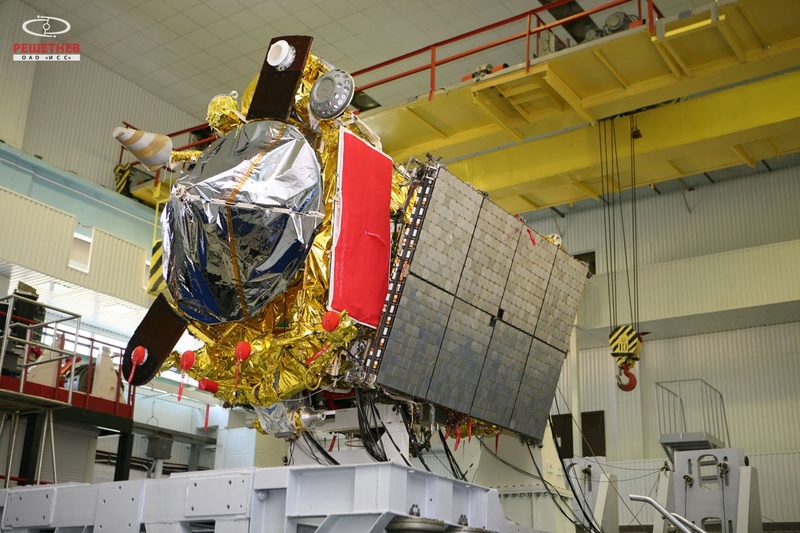 The newly designed GEO IK-2 satellites were to be small and light-weight spacecraft for launch on Russia’s Rockot vehicle. 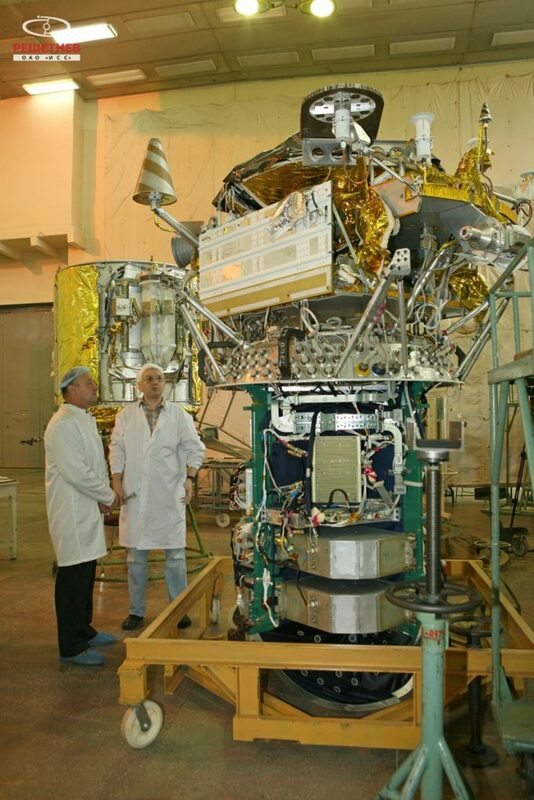 The GEO IK-2 satellites inherited a number of systems from other satellite projects such as Glonass-M and ISS Reshetnev’s Geostationary Satellite platforms. The first GEO IK-2 satellite finally reached the launch pad in 2011, lifting off from the Plesetsk Cosmodrome on February 1, embarking on a 95-minute ascent mission to a circular orbit 1,000 Kilometers in altitude. After the Rockot launcher successfully completed its job, the Briz-M upper stage took over for a pair of engine burns – the first into an elliptical transfer orbit followed by another to circularize the orbit. Due to an attitude control problem during the second burn, the satellite was left stranded in an elliptical orbit of 370 by 1,020 Kilometers. Power issues arose because the satellite was passing through extended eclipse periods and communications were only possible sporadically. 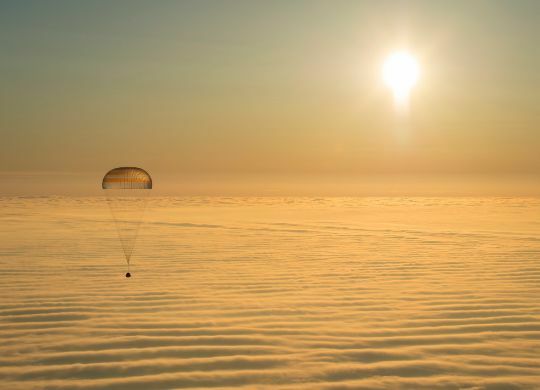 Engineers were able to revive the satellite and re-purpose it as a dedicated testing platform for the satellite bus and the instruments to gain experience for a follow-on mission. GEO IK-2 No. 1 eventually re-entered the atmosphere in July 2013. The GEO IK-2 satellites have a launch mass of 900 Kilograms and are comprised of a pressurized tube measuring 1.3 meters in diameter and building the structural backbone of the spacecraft, providing mounting surfaces on its exterior and inside. Residing within the tube is the bulk of the spacecraft’s electronics. The use of a pressurized section simplifies the thermal control system for electronics components, provides some radiation shielding and protects the internal components from debris impacts. The GEO IK-2 satellites use the same Electrical Power System as the Glonass-M navigation spacecraft with two three-panel solar arrays in charge of generating 1,000 Watts of power. 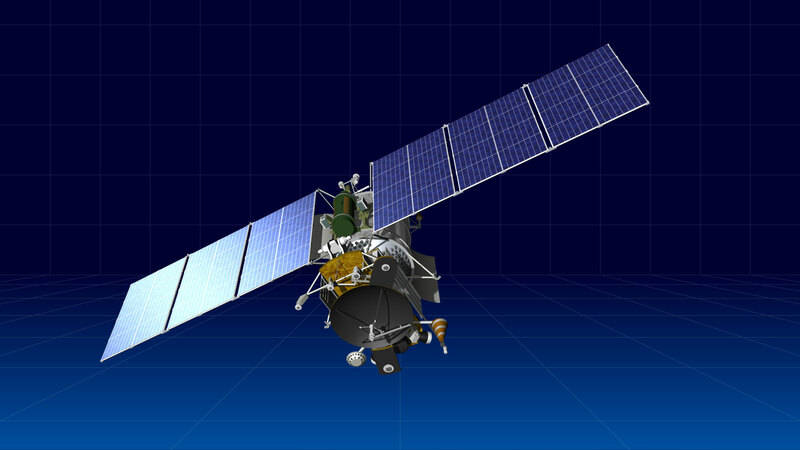 Propulsion also uses a Glonass-type system and GEO IK-2 features a three-axis stabilization system for accurate Earth pointing during mission operations. Thermal control uses external radiators to dissipate excess heat from the pressurized compartment with shutters on the radiators to regulate the rate of heat dissipation. The satellite features a modular approach, allowing the payload section to be built separately ahead of integration with the spacecraft platform late in the process of readying the satellite for launch. The payload section resides on the forward end of the spacecraft that is pointed towards Earth during regular mission operations. The primary instrument of the GEO IK-2 No. 2 mission is the SADKO-3 altimeter built by Thales Alenia Space based on the Poseidon altimeter design used on the Jason ocean altimetry satellites. A radar altimeter precisely measures altitude above the terrain presently beneath the satellite by bouncing a radio wave off the ground and measuring how long it takes to return to the satellite. Recording the signal waveforms that return from the ocean surface allows the topography of the sea surface to be mapped and the ocean surface current velocity, wave height and wind speeds to be calculated. The radar antenna installed on GEO IK-2 is approximately 1.2 meters in diameter and operates at a radar frequency of 5 GHz with a 50MHz bandwidth. To support the precise radar measurements that are to achieve an accuracy of around 1.5 meters, the satellite hosts support systems for precise orbit determination. these include a Doppler ranging system, laser retroreflectors and GPS/Glonass navigation terminals. All these devices are used to precisely determine the spacecraft’s orbit – a crucial requirement when processing the radar measurements that deliver the precise distance between the satellite and the terrain below. GEO IK-2 No. 2 was also planned to carry the Miram microwave altimeter manufactured in Russia. Whether this instrument is actually on board has not been specified. The collection of precise geodetic data can be helpful in a number of scientific fields, studying movements of the tectonic plates, monitoring ocean currents, and examining the Earth’s rotational speed. In the military, gravitational field data is put to use in Ballistic Missile Technology to increase the accuracy of their flight trajectory by adjusting for gravitational effects.